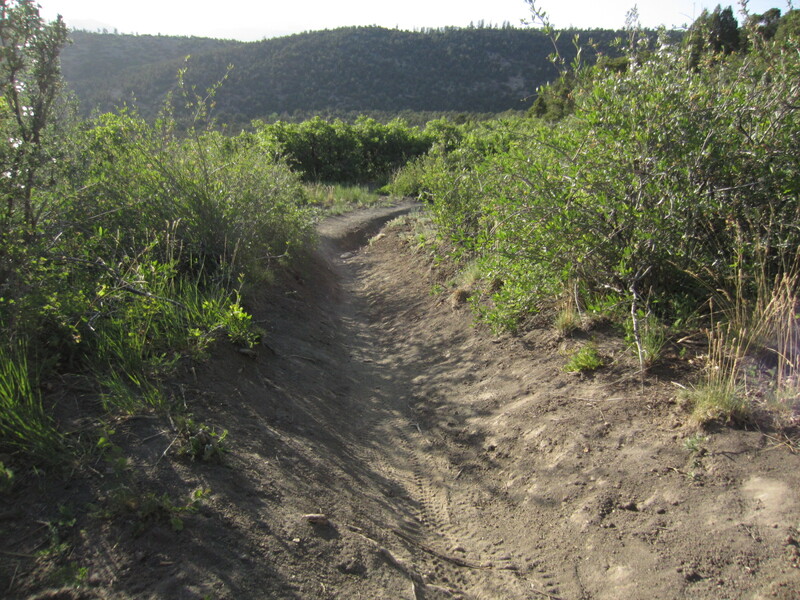 Durango’s Natural Lands, Trails and Sustainability Director Kevin Hall said at a meeting last week that the lower part of Cuchillo and Mike’s Trail are on the map for a possible reroute due to some problems with ruts caused by erosion that are similar to what was occurring on Stacy’s Loop. One would hope that these intermediate trails that have built there reputation off of their ability to provide for fun downhill descents and banking turns will not be pacified and switchbacked under the guise of sustainable trail development. 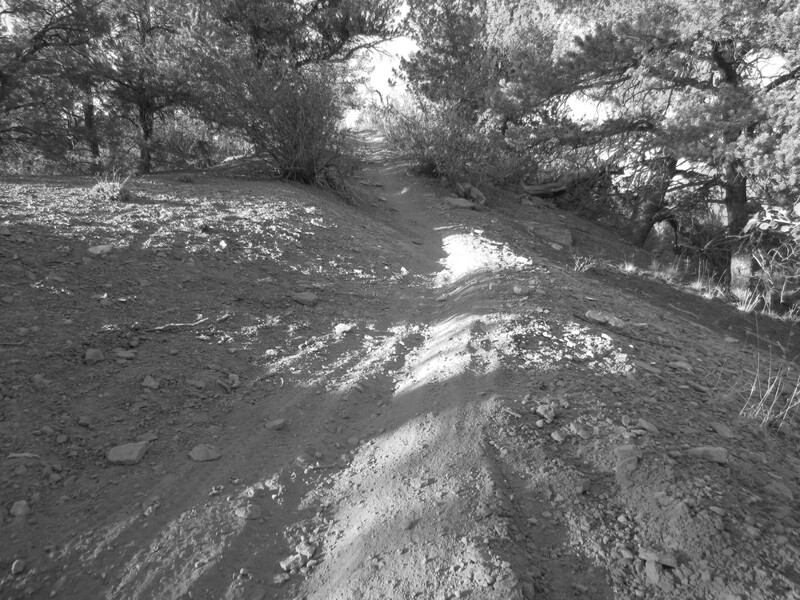 This is a difficult climb going up Mike’s Trail. 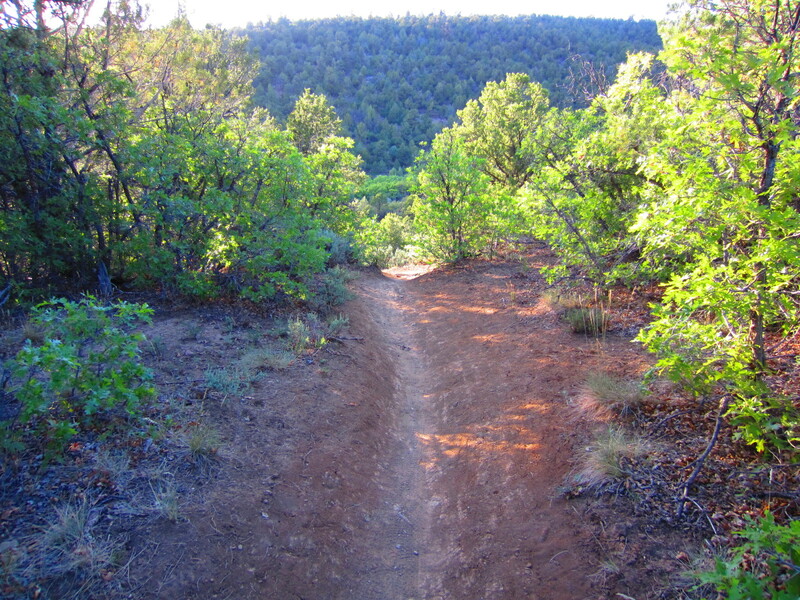 It’s rut makes it a challenge, but does not mean that it needs to be rerouted or switchbacked–it’s fairly benign in effect. The rut shown on the right side of this image is minimal in scope and will have no detrimental, long-term impact to the landscape. 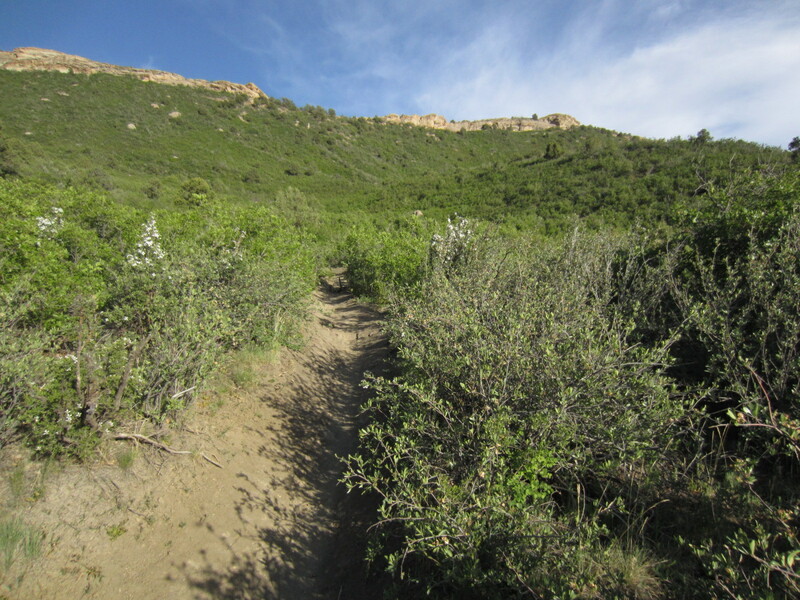 If Cuchillo Trail is too difficult to ride or run on, then a more beginner-oriented trail would be recommended instead. 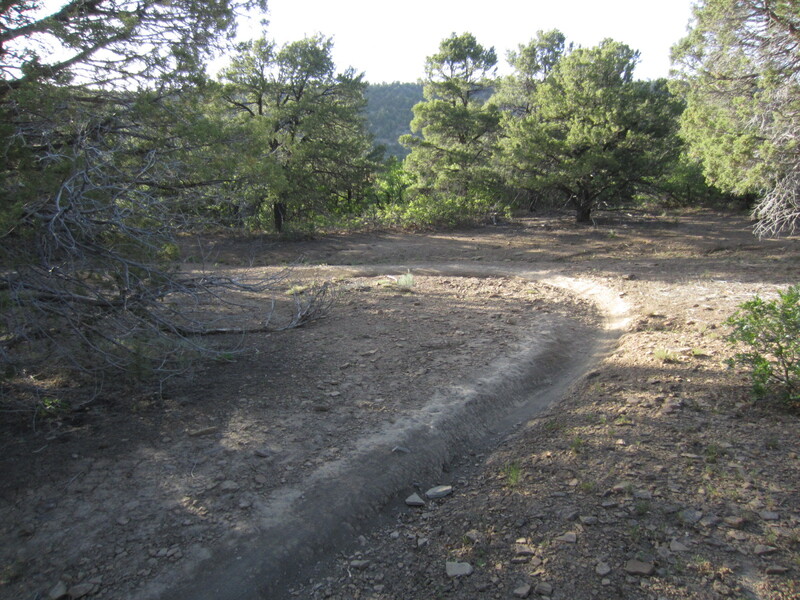 This rut caused by rain is minimal in scope and really accentuates the banking turn that it runs next to. If it’s too difficult for you to run on or ride your bike on, then find a beginner trail to ride on, or build one for yourself somewhere–but please don’t obstruct this one! 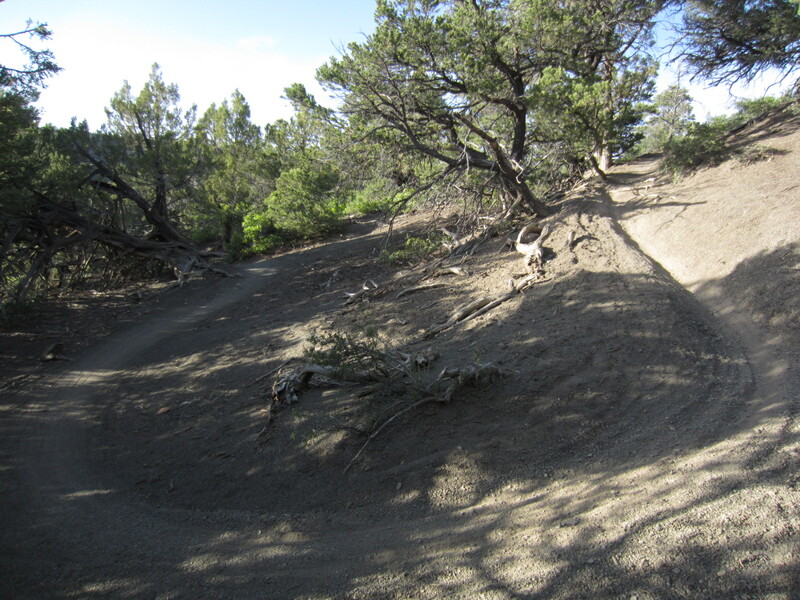 This is benign erosion caused by skidding bike tires.